When you travel abroad for surgery there are really no limits on the type of accommodation you can choose from. For many people the driving factor in going abroad for treatment is the low cost, which may also include accommodation. So while some patients may prefer to stay in the luxurious surroundings of a four star hotel while on holiday, others will have a budget to stick to and may choose less expensive establishments. Many medical service providers will have their own accommodation arrangements figured into the overall package. They will usually have private clinics abroad with accommodation included; this can range from a double room in the clinic with the same facilities you may expect from a hotel, or they will have hotels and apartments nearby that they use. Medical providers usually have arrangements with certain hotels that are situated near the clinics and hospitals, some are very luxurious indeed. With accommodation arrangements that are provided by medical service providers it usually comes down to how much you wish to pay. If you decide you would like top class hotel facilities such as a day spa, gym, and swimming pool then this can easily be arranged. Many patients from the UK have added their treatments abroad as part of a holiday package and so it makes sense to stay in holiday type accommodation that is near to the clinic or hospital that they have used for their surgery. If you are undertaking your own surgery abroad and are looking for special rates on accommodation then your first option should be the clinic or hospital you are researching. Many private clinics will have special arrangements with the hotels and holiday apartments nearby offering special discounts to patients who are having surgery abroad. It is a two way recommendation process and brings benefits to both the hotel owners and the clinics. Word of mouth spreads very easily if the service at both the clinics and the hotels is first class. Hospital accommodation arrangements may be different from the private clinics. The accommodation arrangements may depend on the type of surgery you are intending to have; for surgery such as heart surgery then you will no doubt be staying in the hospital for around ten days post surgery for observations. In this case you will usually have your own private room and you can request a double room in order to have a friend stay for support. Many of the new hospitals have been built with private patients from abroad in mind and some are equivalent to five star hotels. They have a telephone, television, room service and English speaking staff. Their aim is to make your stay in hospital as relaxing as possible, but once again the standard of the rooms may come down to how much you wish to pay. One of the benefits of arranging your own accommodation abroad is that you can stay within your own budget. If you are travelling to Eastern Europe to countries such as Croatia or Poland for dental treatment you will be able to find very good standards of accommodation at a very low price. The average price of a good quality hotel in Croatia will only cost around £30 per night if you book yourself. You can find some very good deals by booking in advance via the internet. Surgeons will recommend that you stay abroad for around a week to ten days after surgery. 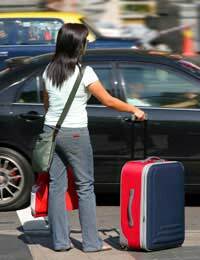 By doing this you can be near the hospital or clinics, and return for an examination before you leave. It is also a good idea to recuperate while you are on holiday, it will give scars a better chance of healing and there will be no stress and strain from immediate return travel. If you are having cosmetic surgery abroad then private clinics will usually have aftercare facilities onsite. There will be professional staff at hand such as beauticians who will have a range of treatments that will help with skin renewal and regeneration. When you have medical treatment abroad you can really take your choice from a range of accommodation arrangements. If you do choose to stay at a clinic or private hospital they will do their best to make your stay as comfortable and relaxing as possible; in business terms a happy patient is their best advertisement.